WIENER RIESENRAD IS NOT THE TALLEST IN THE WORLD (212-FEET) BUT IT IS THE MOST FILMED AND ONE OF THE OLDEST (1897). Editor’s note: The following is the tenth in a yearlong monthly series on the world’s mega-sized Ferris wheels. 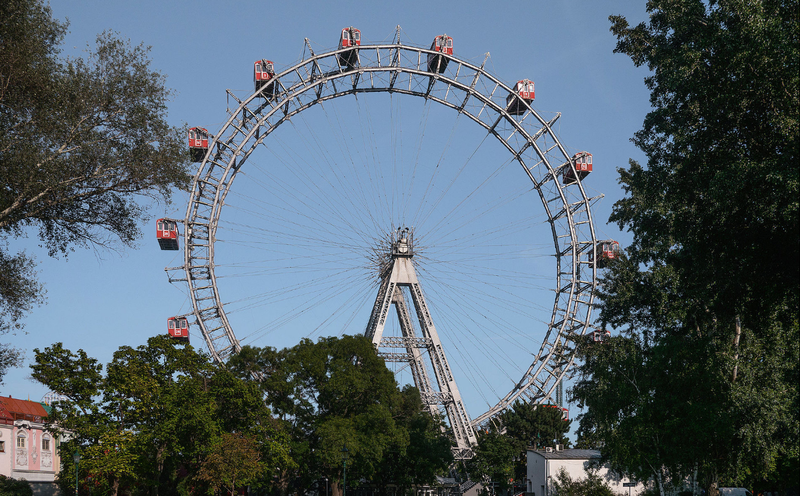 At one time the 212-foot Wiener Riesenrad (German for Vienna Giant Wheel) was the tallest in Europe. It was constructed in 1897 by the English engineer Walter Bassett Bassett (1864-1907). Its purpose was to celebrate the Golden Jubilee of Emperor Franz Josef I, and it was one of the earliest Ferris wheels ever built. Bassett's Ferris wheel manufacturing business was not a commercial success, and he died in 1907 almost bankrupt. A permit for its demolition was issued in 1916, but because of a lack of funds with which to carry out the destruction, it survived. 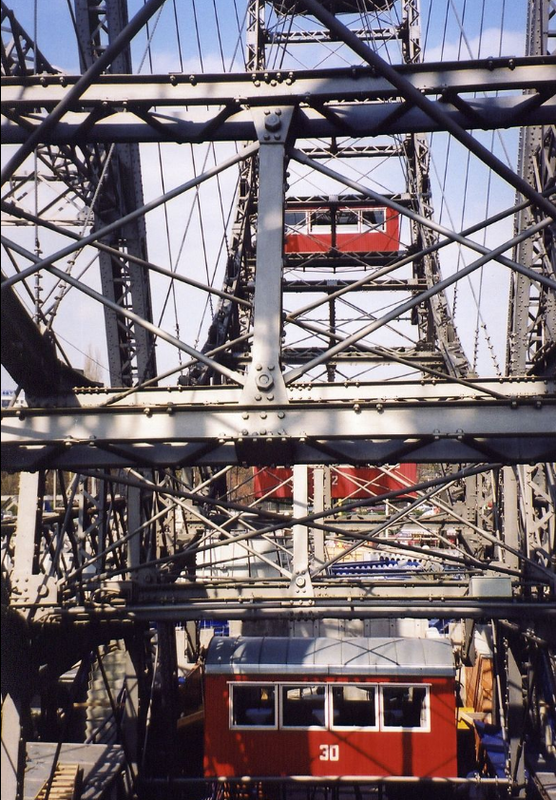 It was built with 30 gondolas, but was severely damaged in World War II and when it was rebuilt only 15 gondolas were replaced. The wheel is driven by a circumferential cable which leaves the wheel and passes through the drive mechanism under the base, and its spokes are steel cables. --The 1987 James Bond film, The Living Daylights features scenes throughout the Prater, around the wheel, and a lengthy romantic scene on the wheel. 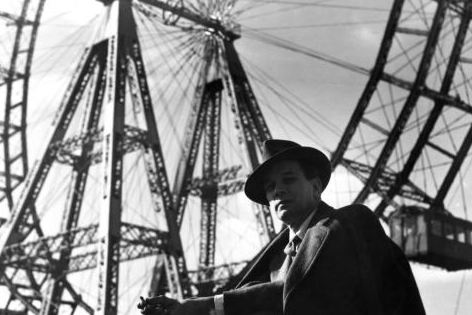 --The wheel appears in Max Ophüls' Letter from an Unknown Woman (1948). --Scenes in Richard Linklater's Before Sunrise were filmed around the Prater and on the wheel. --The wheel appears in The Glass Room by Simon Mawer. --The Riesenrad appears in the film Woman in Gold (2015), about the repatriation of a Klimt portrait stolen by the Nazis from a Jewish Viennese family.